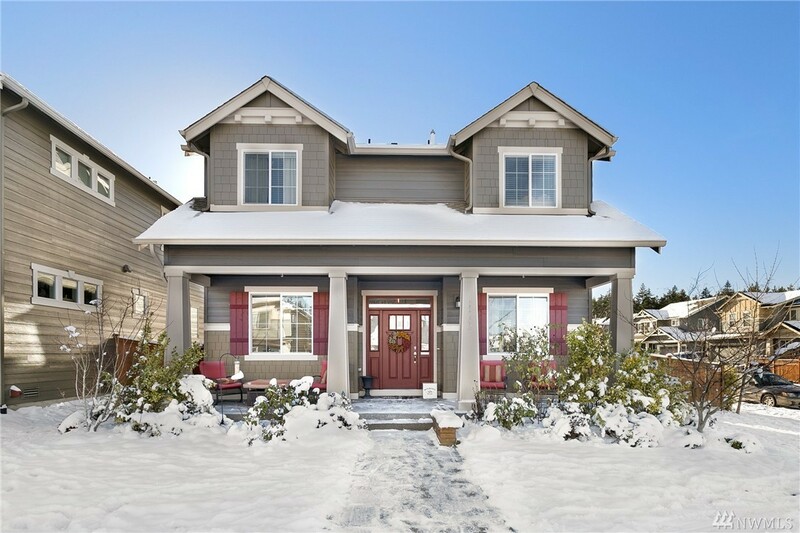 2,124 sq ft; lot: 5728 sq ft - MLS# 1408563 Courtesy of Redfin Corp.
Gorgeous home on corner lot in the heart of Tehaleh. Features Incl: AC, large master w/5piece bath & walk-in closet. Dark hardwood floors throughout downstairs surround a beautiful kitchen island & fireplace that leads out to your very own private garden oasis w/raised planter beds. Spacious Kitchen w/SS Appliances & walk-in pantry is great for entertaining. Home is near 5 parks, close to trails, recreation & great schools.